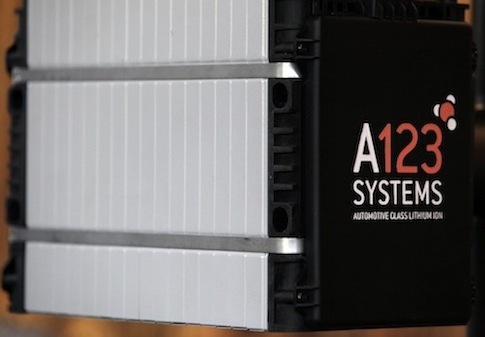 The sale of bankrupt electric-car battery maker A123 Systems to Chinese firm Wanxiang America has been approved by the necessary interagency panel. The Committee on Foreign Investment in the United States (CFIUS) approved Wanxiang America’s purchase of A123 Systems’ automotive, energy storage, commercial and government operations for $256.6 million. "The future is bright for A123. It is a company with exceptional talent and potential, and Wanxiang America is committed to its long-term success and the continuance of its U.S. operations," Pin Ni, president of Wanxiang America, said in a statement. CFIUS, an interagency panel led by the Treasury Department, has the power to negate deals with foreign firms if they harm national security. Some GOP lawmakers worried that was the case with the bid for Waltham, Mass.-based A123, and they lobbied CFIUS to block the transaction. Long troubled, A123 filed for bankruptcy in October 2012. The company had received $133 million of a $249 million grant from the Department of Energy, and received $1 million from the federal government the day it filed for bankruptcy. After security concerns arose among some Republicans about the sale, A123 sought a lobbying firm earlier this month while securing the sale to Wanxiang. The effects of A123's bankruptcy and sale are not isolated. The company's bankruptcy disrupted the production of DOE loan recipient and battery-powered carmaker Fisker Automotive, which used A123's batteries. Fisker received $193 million in DOE loans; the original package was for $529 million, but was frozen by DOE in 2011. Fisker leadership is reportedly considering a sale of the company, and is seeking investors to either improve the prospects of that sale or continue operation. Wanxiang is currently in talks with Fisker to become an investor, the Wall Street Journal reported this week. This entry was posted in Politics and tagged A123, Congress, Fisker. Bookmark the permalink.